​learning and promoting educational excellence for the children of Bonny Doon. Our very first fundraising campaign helped fund the “10th teacher” at the school, thereby keeping class sizes down and ensuring an optimal amount of teacher attention for every pupil. Sustaining and strengthening the art, music, and science curricula at the school, especially during the jarring downturns in the general economy. A variety of professional development opportunities for our teaching staff, providing an even stronger foundation for their skills. Support the Bonny Doon Art, Wine & Brew Festival, our biggest fundraising event of the year and a major community event. Include the BDCSF or the Future Fund in your estate planning. Make direct gifts of securities or real estate. Name us as a beneficiary of your life insurance or retirement plan. Create a Charitable Gift Annuity or Charitable Remainder Trust naming us as a beneficiary. Make a tax deductible cash donation today. Shop through Amazon Smile and 0.5% of your Amazon purchases will be donated to the BDCSF. All of these options carry significant tax benefits to go along with the certainty that you have done something beneficial and lasting for your school and community. 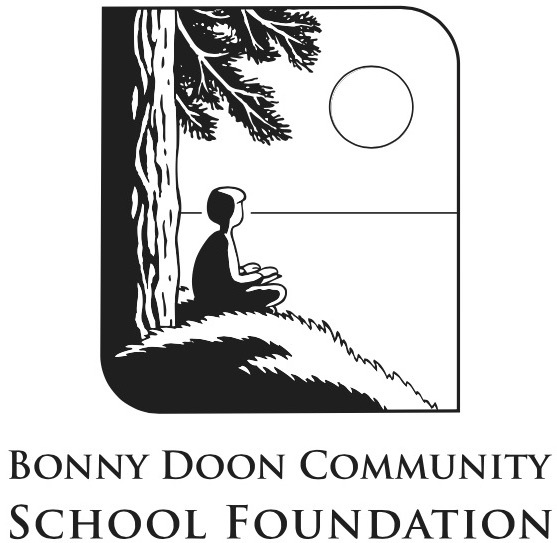 A direct gift to the Bonny Doon Community School Foundation (BDCSF) or the Future Fund (BDSFF) may be made by mail or by using the "Donate" buttons below. All donations are tax deductible, our tax ID is 77-0412170. Please don't hesitate to Contact Us with any questions or inquiries. Check out this short video about the science program at Bonny Doon School. Few elementary schools have a science program like the one at Bonny Doon Elementary School. It would not exist without the generosity of people like you. Thank you!